Angela started as a search consultant in 1980, learning the business with a major international search firm where she quickly became one of the top producers. 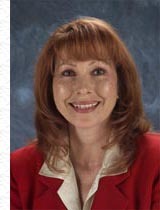 In 1983 she founded A. Herndon & Associates, Inc. Focusing on listening to the client and maintaining a keen awareness of client needs and market changes, she had the foresight to develop and implement a proprietary database. Launched in 1984, that system which continues to evolve as new technologies emerge, remains an integral part of the company's ability to quickly access and identify potential client candidate profiles. Fluent in German, her mother tongue, as well as Spanish, she is well adept at international searches. She has lived in Germany and Great Britain and worked as a simultaneous translator in Spain, Argentina, Venezuela, Chile and Mexico. Her understanding of cultural differences has been pivotal in negotiations affecting numerous international hires. In recent years she has been called upon for source material for such publications as The Wall Street Journal, the National Business Employment Weekly, and the National Law Journal. She has a talent for assessing critical human qualities and has gained a reputation for "telling it like it is". Heading a team of consultants and researchers strongly committed to providing quality retained search services with individual attention and personal concern, she remains dedicated to the principles of understanding the important issues and challenges of AHA's clients. She continues to personally conduct select searches across varied industries. She plays killer tennis, gives no quarter.